Moien! Whether you just love to learn a new language or you want to learn Luxembourgish to move to Luxembourg, here is a place to learn Luxembourgish online through Skype from native tutors! Luxembourgish belongs to the West Germanic branch of the Indo-European language family and is the official language of Luxembourg. It is also one of three administrative languages of the country the other two being French and German. The language is also spoken in France, Belgium and Germany. In Luxembourg German and French are mostly used for administrative purposes and Luxembourgish is used by locals for every day communication. In Luxembourg, medium of instruction in preschool is Luxembourgish; German is used at the primary level and French at the secondary level. Many residents of Luxembourg are equally comfortable speaking Luxembourgish, French, and German. The language has several distinct dialects such as Miseler, Areler, Minetter, Stater and Weelzer among others. The Luxembourgish alphabet consists of 29 letters. In this 26 alphabets are the same as that in English language along with three additional letters Ä, Ë, and È. Learn Luxembourgish online through Skype from our experienced native tutors and increase your chances for getting hired, for travel, friendship or for business! 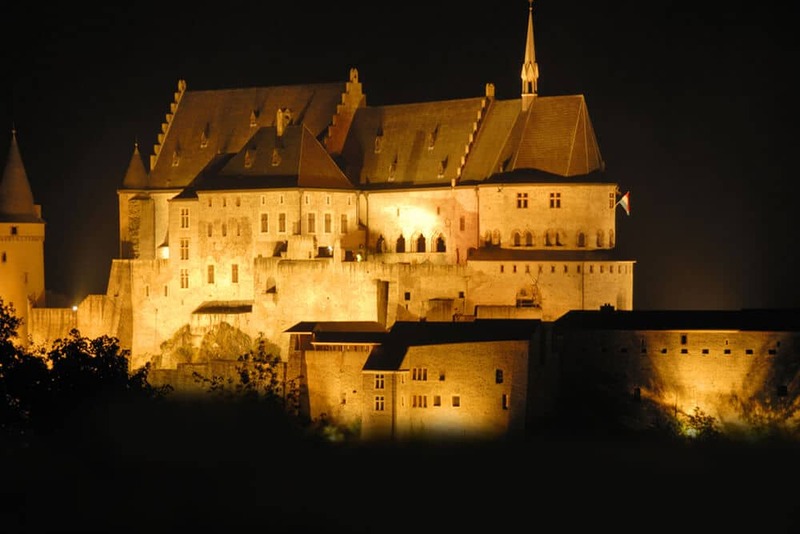 Luxembourg is a truly cosmopolitan country with more expats living in Luxembourg than in any other European country. The best way to get connected with a new place is to learn the language. Luxembourg is truly cosmopolitan and English is widely understood here. But it is always useful to learn the local language especially if one will be staying in that particular country for some time. Learning a bit of Luxembourgish will help you get to know your Luxembourgish neighbours and colleagues better. If you’re looking to settle down here it will make a huge difference to your integration. Luxembourgish is used as the language of instruction in preschools. So, parents may want to consider learning Luxembourgish to help with their young ones. Is your goal to learn Luxembourgish? Here is an online platform that will help you learn the language fast and efficiently. We offer online Luxembourgish classes via Skype. We offer Luxembourgish classes at all levels. So whether you want to start from scratch or you already speak it a bit and want to improve it in a personal and effective way, we can help you with this. The courses are tailored to your individual needs and learning pace. Our native speaking and motivated teachers will help you to tailor your Luxembourgish lessons as per your needs and goals. You learn effectively and individually from our experienced native tutors. Also you enjoy ultimate flexibility. You decide what, how, where and when you want to study. Our classes are very affordable since we provide all our language learning services through the internet. So we don’t have to pay for any overheads and we make sure to pass on the savings to our valued customers. Join our online Luxembourgish classes today and master the language in a fun and fast manner! You can now take Luxembourgish classes one-to-one using Skype with a tutor of your choice. Our Luxembourgish lessons are custom, effective, comfortable, and fun. Pick a tutor NOW! Choose anything specific. Whether it is conversational Luxembourgish classes, business Luxembourgish lessons or just learning how to greet and impress a loved one. We can help you with them all.